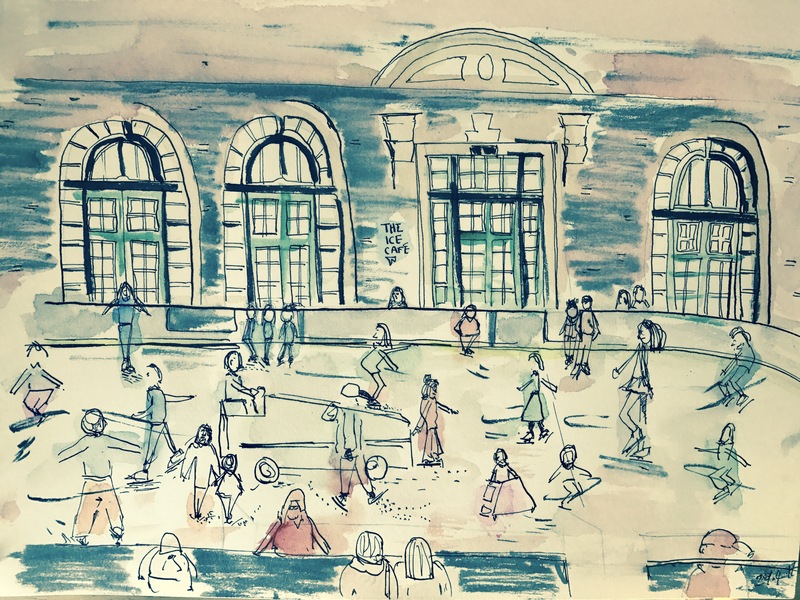 It was brilliant to meet at Alexandra Palace with the London Urban Sketchers today. 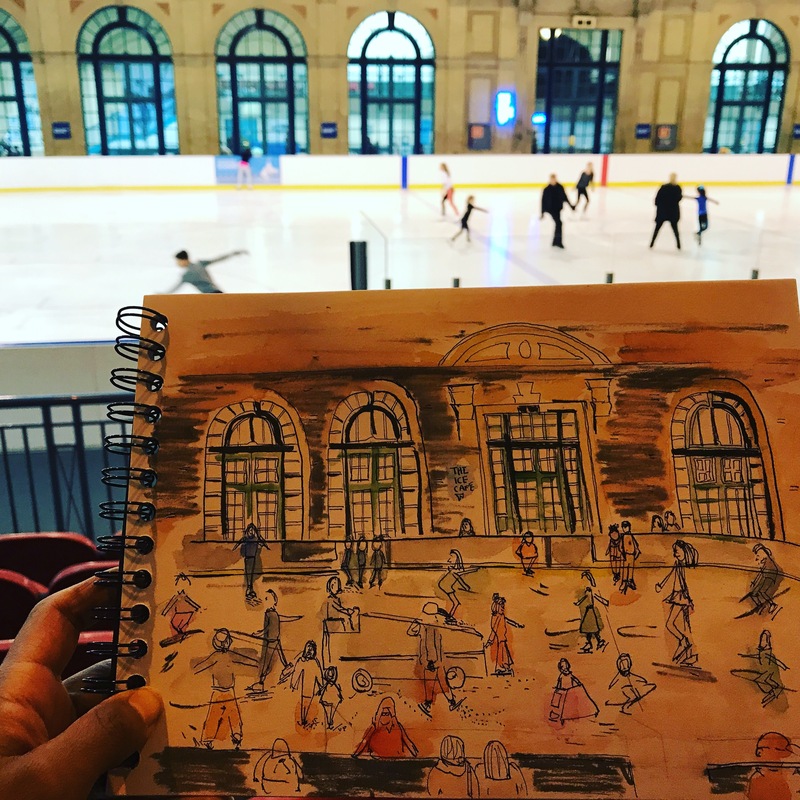 The Ice Rink was a great place to practice gesture sketching with my new dip pen. It was a challenging sketch with all the skaters moving around so fast, it felt like you had 0.00000001 of second to capture them whilst legs were gliding and arms flying in the air. You can see the concentration on my face. It’s definitely not one of my favourite sketches as I didn’t quite translate what I wanted in my head and seeing to paper. It was a gentle reminder that I need to practice capturing gestures daily. I’ve been taking a course by Suhita Shirodkar on Craftsy. It is called ‘Figure Sketching Made Simple’ and it’s a fabulous course to help you understand gesture drawing. I posted a question in her class on how I can improve my attempt as I was disappointed in how my figures were captured on the ice rink. She took the time to answer my question on her amazing blog – read it here. Next time, I will take the time to really study people, the action and gesture before sketching out an entire scene. Thank you Suhita for your tips.